Minimally invasive surgery (MIS) is becoming increasingly popular among the patients of today. MIS involves the use of an exploratory device that serves as a kind of camera, which enables a doctor to view the interior area of a body part. It is used as an alternative to making a large incision that is much more invasive, which has previously been the traditional technique used for surgical procedures. Many surgeons and patients prefer this technique when it’s possible to utilize it. If you need to have surgery and are considering this method for yourself, you may want to explore the concept and benefits of minimally invasive surgery. One of the first kinds of MIS was (and still is) referred to as laparoscopy. Laparoscopy entails making small incisions in the wall of the abdomen. Once the incisions have been made, a device called a laparoscope is inserted into the abdominal wall in order to provide a surgeon with a way to view the interior of the pelvic or abdominal area. Surgical instruments are then inserted and used to perform the procedure itself. Laparoscopic treatments are not limited to surgery. In fact, both laparoscopic and endoscopic procedures, which involve exploratory devices, are often used simply for diagnostic purposes. While this kind of diagnostic treatment is invasive, the intrusion is minimal and may be more accurate than other types of diagnostic techniques. Robotic surgery is another kind of MIS, and it offers a surgeon a three-dimensional view of the affected area. This perspective may enable a doctor to perform surgery with greater control than with other types of minimally invasive surgeries. A surgeon might also operate with more flexibility and enhanced precision when performing such a procedure. This can be highly beneficial to both the surgeon and the patient. Hip arthroscopy is an example of a surgical procedure that is minimally invasive. A few small incisions are made to give a surgeon access to the interior part of the joint. Once various instruments are inserted into the joint, the surgeon can trim, shave, or repair the tissue that is causing a problem. This type of surgery might be utilized to correct issues such as labral tears, hip joint inflammation, and trochanteric bursitis. The medical field has made many advances in MIS, and this general advancement has certainly extended to spinal procedures. One example of this is anterior lumbar interbody fusion, which entails disc removal via an incision made in the abdomen. Another type of spinal surgery that is minimally invasive is a laminectomy, which is a technique used to relieve spinal pressure. Kyphoplasty is implemented in some cases of osteoporosis; it is utilized as a means of treating spinal compression fractures that occur as a result of this bone condition. A thoracotomy is a type of back surgery that is far less invasive than traditional back surgery. Laser discectomy involves the removal of disc tissue that is causing pressure and pain in the spine. When these and other procedures are followed by physical therapy, they may be very effective at treating an array of spinal conditions. Such techniques offer an assortment of advantages to patients and doctors. When they use these procedures for diagnostic purposes, doctors may yield more accurate results than when they use other types of diagnostic equipment. Patients may enjoy many benefits associated with MIS, such as receiving small incisions instead of large ones. Smaller incisions require fewer stitches, which can make a patient more comfortable during recovery. These types of surgeries may also be less painful overall. They generally lead to shorter hospital visits, speedier recoveries, and lower bills than traditional surgical methods. If you have a health condition that requires surgery and are considering your options, minimally invasive surgery could be the answer. This type of procedure can be implemented to treat a wide range of issues, from spinal problems to hip conditions. You may wish to consult a qualified professional about the possibility of having MIS to treat your health condition. This article about minimally invasive surgery was provided by Sports and Spine Orthopaedics, a fully staffed ASC and sports medicine facility with board certified surgeons. 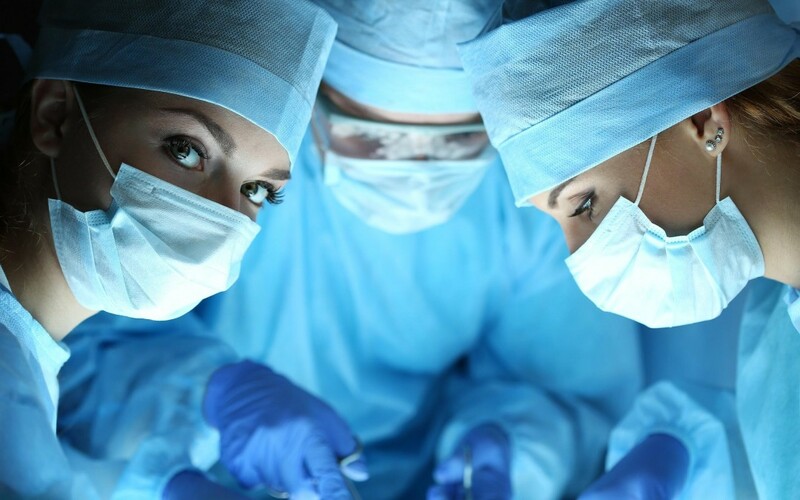 They provide minimally invasive surgery procedures in the Los Angeles area and can be found on twitter and facebook.